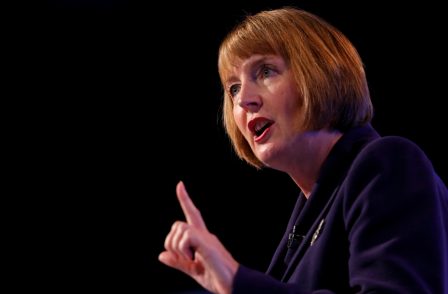 Harriet Harman has called for a cap on media ownership to stop companies feeling they are “above the law”. The shadow culture secretary said a 15 per cent cap across newspapers, broadcasting companies and online sites should be considered. Harman is also calling for a "robust fit and proper person" test to be introduced under a fresh push for curbs on the industry. Lord Justice Leveson failed to make much progress on suggestions that market share should be limited during the inquiry into media ethics sparked by the phone hacking scandal, she will say when addressing the annual Charles Wheeler Lecture on journalism later today. The Labour frontbencher will call on her Tory counterpart, Maria Miller, to set up cross-party talks to help push reforms through. 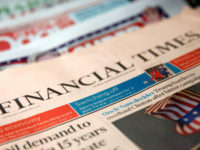 Labour last year proposed a possible 30 per cent limit on ownership within the newspaper industry but that could sit alongside a 15 per cent cap across the media as whole, including "any medium of communication that stands between a creator of content and an audience". Before the closure of the News of the World in 2011, News International held 37% of the newspaper market. At the event, hosted by the University of Westminster and the British Journalism Review, Harman will say: "The Leveson Inquiry focused on the complaints system and the impunity which came from the lack of a robust, effective complaints system was undoubtedly a key part of the problem. "But so too was something else in Leveson's terms of reference which he was not able take forward in such depth. The invincibility that came with too much power concentrated in the hands of one man. "Media monopoly matters in a democracy. The concentration of unaccountable media power distorts the political system. The media shapes how we see ourselves and how we see the world. In a democracy, the free flow of information, of different points of view, is crucial for open debate. "Too much power in too few hands hinders proper debate. Plurality ensures that no media owner can exert such a damaging influence on public opinion and on policy makers. It ensures that no media company can have so much influence that it feels itself immune, above the rule of law. It ensures no private interest can set itself above the public interest. "But we don't have a proper regime for protecting against this. The system doesn't work – its inadequacies and complexities were laid bare by the News Corp bid for the whole of BSkyB. And the system is out of date – this is an age of great change in the media, where we have print newspapers, broadcast media and new media, and a convergence of all three. 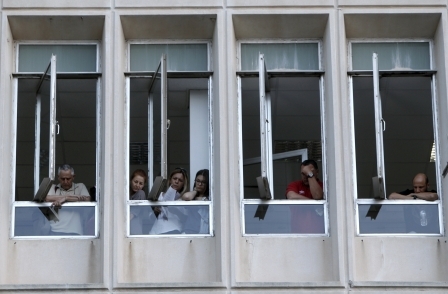 "Now is the time for reform, to tackle this problem that has persisted for many years. We feel it would be best for the Government to go about this in a cross-party way." Harman said the results of the cross-party process, which should also involve the industry, could be used to come up with proposals that form part of a new Communications Act. "There are a number of key decisions that the process should take," she will say. "It should decide on the best way of measuring media power. "It should decide on the proper upper limit for cross-media ownership. 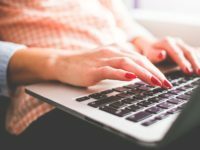 "Enders Analysis have proposed a 15 per cent limit and they include any medium of communication that stands between a creator of content and an audience. "That is a good starting point for discussion. We all need to think about the exact figure, but this proposal draws a clear bright line and defines the media in a way that recognises the huge influence of new media players online. "It should decide on a proper upper limit for media ownership within sectors. Although it is important that our rules on cross media ownership are changed, the rules on how much of the newspaper market (for example) one company is allowed to own must also be changed. "So no company can dominate any part of the media market. For example, at the Leveson Inquiry, Labour suggested that 30 per cent of the newspaper market could be the limit. I know Avaaz has proposed 20 per cent, while the NUJ has put forward an absolute limit of 25 per cent. Again, the cross-party process will need to think about which of those limits is the right one. "It should decide when judgments should be made on those limits. "They should not only be triggered when there is an event like a merger, but be applied on a regular basis. "The process should decide a clear definition of how those limits are judged, and what remedies should be applied if they are breached. "Limits and thresholds do not always have to mean divestment. "We favour clear bright lines – a top line limit which could trigger divestment, but also a bottom line, with a regime of obligations (which might include editorial independence, independent governance and promoting plurality in other ways) in between. 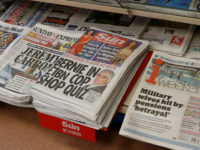 At the Leveson Inquiry, we suggested a 30 per cent top line and a 20 per cent bottom line for newspaper ownership, but we all need to think about where the limits are drawn. "The process should also decide on a robust 'fit and proper person' test. It should be extended to cover impropriety and failures of good governance, and allow for interventions in a merger on propriety as well as plurality grounds."